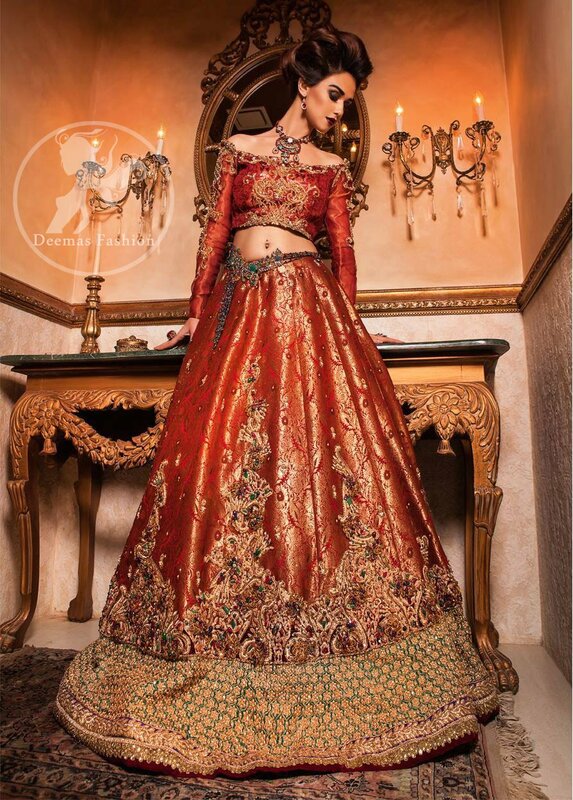 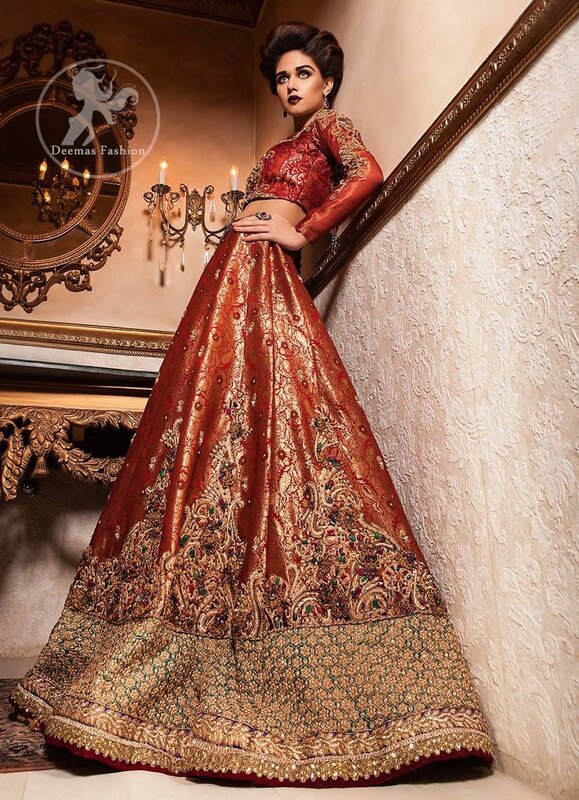 Tags: Baraat, Choli, Full Sleeves, Lehenga, Orange, Red. 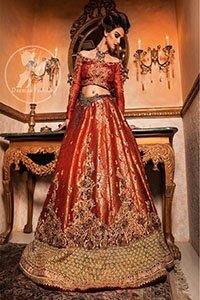 Blouse/Choli features beautiful and lovely embellishment on neckline. 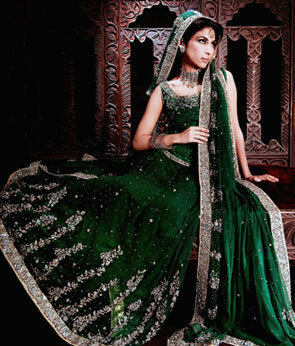 Lehenga contains embroidered border at the bottom. 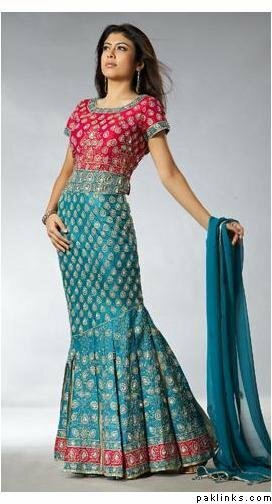 Large motifs implemented before hemline.